If you are a CDO, you’re probably thinking about how your company can get a head start on maximizing data as an asset in 2018. 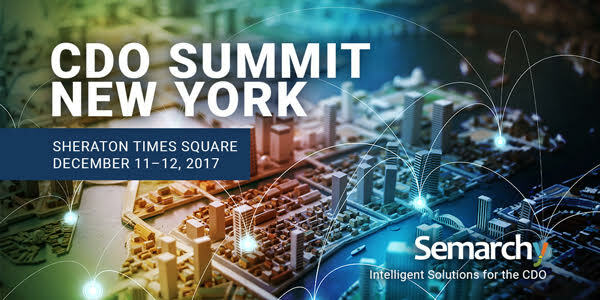 The Chief Data Officer Summit NY, represents a great way to learn from fellow executives at local organizations. At the Summit, they gather to discuss the biggest issues facing today’s CDOs. Semarchy was pleased to lead the conversation on promoting data-driven cultures with Collaborative Data Governance and Intelligent MDM™. Semarchy was proud to sponsor this event while sharing how our unique xDM technology solves your master data management and data governance issues in a smart, agile and measurable manner.